Do you want to know the secret to super juicy burgers? 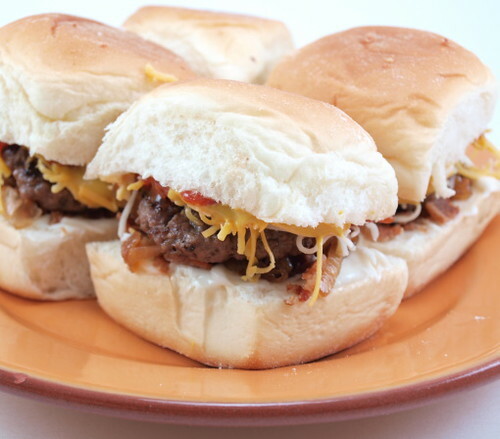 Would you believe that these juicy burgers have only two ingredients?? 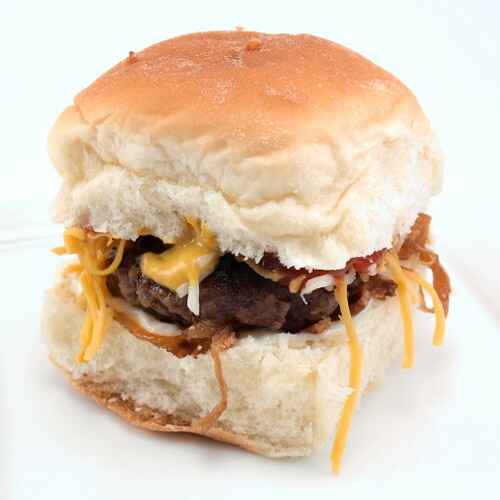 I am going to share the secret to the most juicy burgers you have ever eaten. It is so simple. It also goes against everything I have ever read about making juicy hamburgers. I was a sceptic, I admit, until I tired it. Now, I am sold and if you try it I think you will be, too! The secret is salt. That’s it. Yes, really! 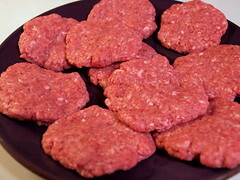 If you salt the meat at least an hour prior to cooking, and I mean salt and work it into the meat, then once cooked the burgers will be very juicy. 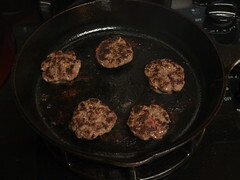 This works with all kinds of ground beef from 80/20, which is already quite juicy, to 96/4. No, I’m not kidding. Just one teaspoon of kosher salt to a pound of ground meat is all it takes. It is so simple, but makes a tremendous difference! Give it a try! In a large bowl combine the salt with the ground meat. 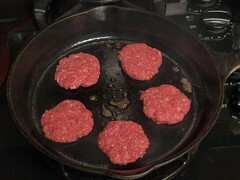 Work the salt evenly through out the meat then divide the meat into eight patties. Cover with plastic and chill for at least one hour, or overnight. Split the rolls and dress with mayonnaise and caramalized on as desired. 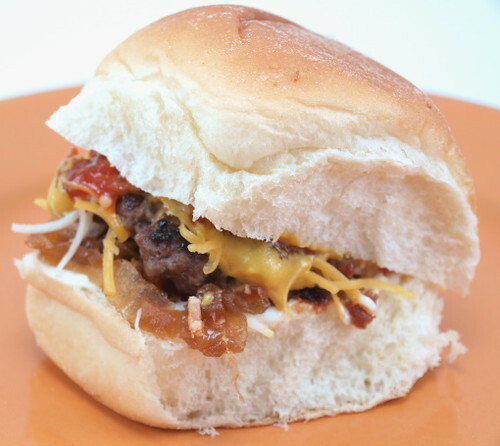 Place the burger on the bottom half fo the dressed roll and top with cheese and bacon. 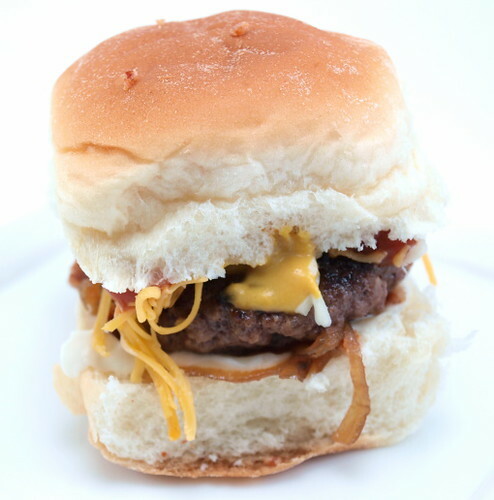 Dress the top of the bun with mustard and ketchup as desired and place on top of the sliders.